Named after the shady peak that dominates its background, Blue Mountains sits between alpine playgrounds and an appealing coastline. 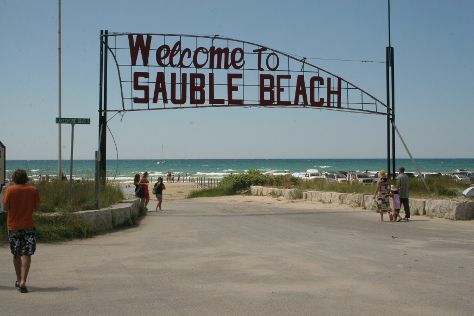 Family-friendly places like Sauble Beach and Ridge Runner Mountain Coaster will thrill your kids. Explore Blue Mountains' surroundings by going to Sainte-Marie among the Hurons (in Midland), Awenda Provincial Park (in Penetanguishene) and Inglis Falls (in Owen Sound). It doesn't end there: take advantage of the amenities at Blue Mountain Village. To find reviews, photos, more things to do, and more tourist information, you can read our Blue Mountains trip itinerary builder. Toronto to Blue Mountains is an approximately 2.5-hour car. You can also take a bus. In August in Blue Mountains, expect temperatures between 28°C during the day and 18°C at night. Finish your sightseeing early on the 22nd (Mon) to allow enough time to drive back home.